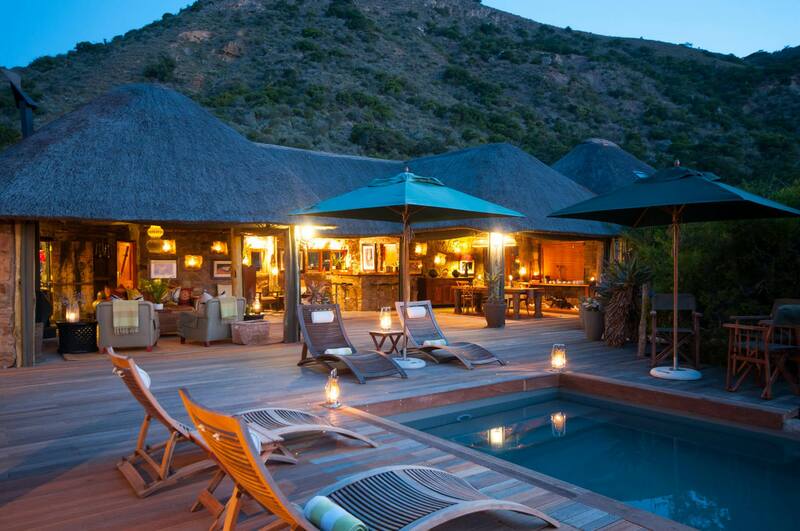 Four star rated Hillsnek Safaris is on the banks of the Bushmans River with a wonderful view of the African bush. 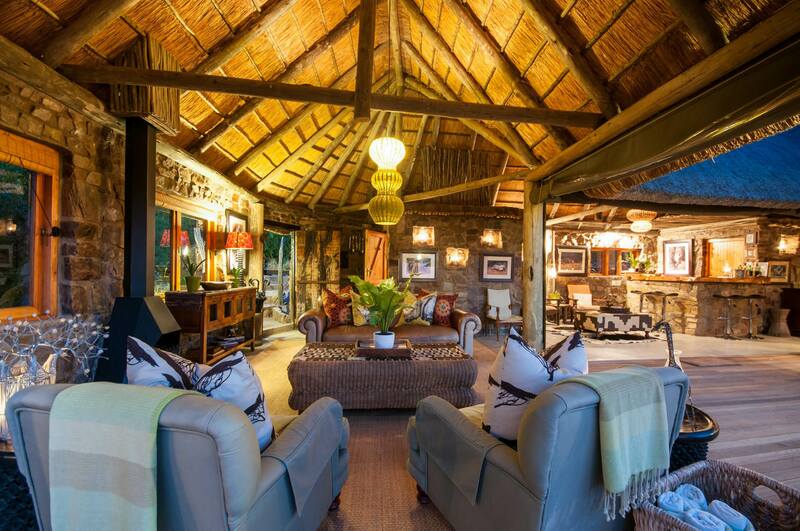 This intimate family-run lodge offers a great safari experience where privacy and personalized attention is the hallmark of every stay. 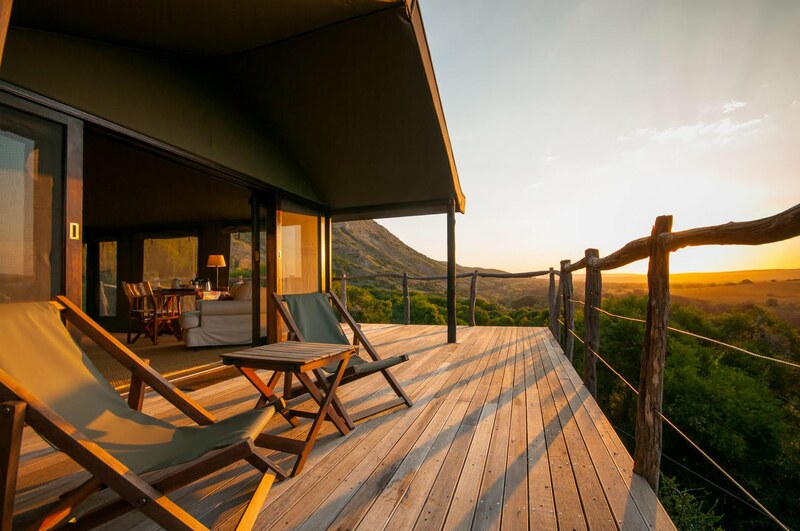 With no set schedule in place, guests get to enjoy their safari and admire the beauty of the African bush at their own pace. 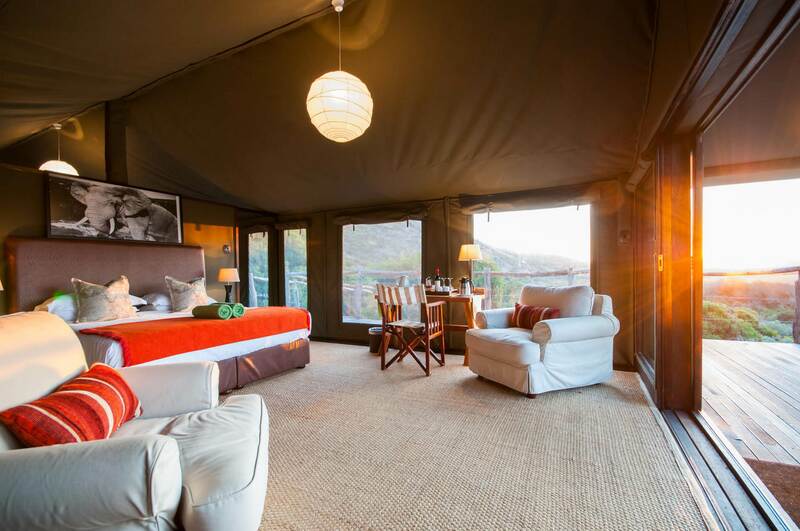 A dedicated ranger and game viewing vehicle allows for a customized safari experience. 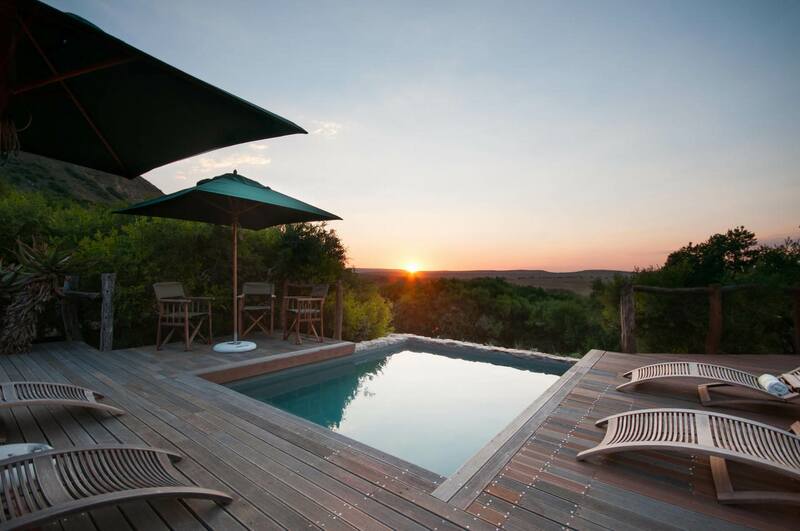 The lodge sets the stage for unforgettable African sunsets followed by evenings enjoying bush-inspired cuisine and celebrating all that is ‘safari’. 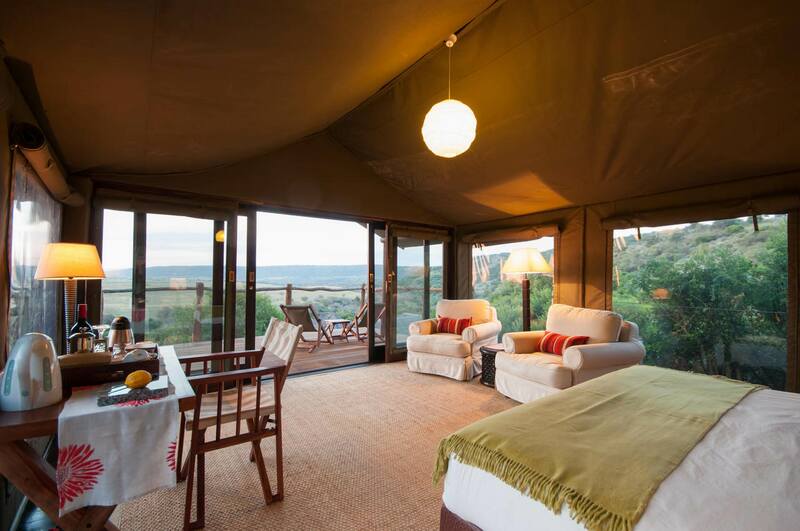 The main lodge and luxury tented chalets are elevated on expansive wooden decks, commanding panoramic views of the open plains. 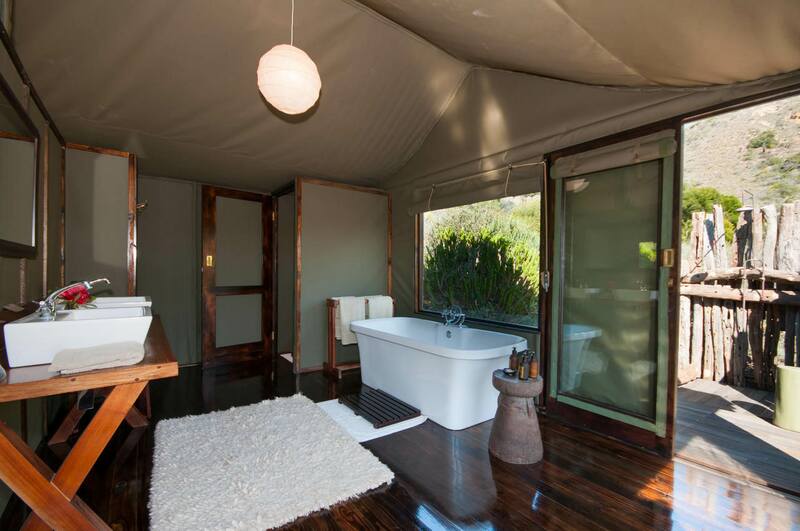 The four tented chalets are linked to the main lodge by raised wooden walkways, all complete with an en-suite bathroom, romantic outside shower and privacy and tranquility - with all the canvas windows rolled up you can appreciate the beauty of nature from the comfort of your bed or whilst soaking in a deep bubble bath. 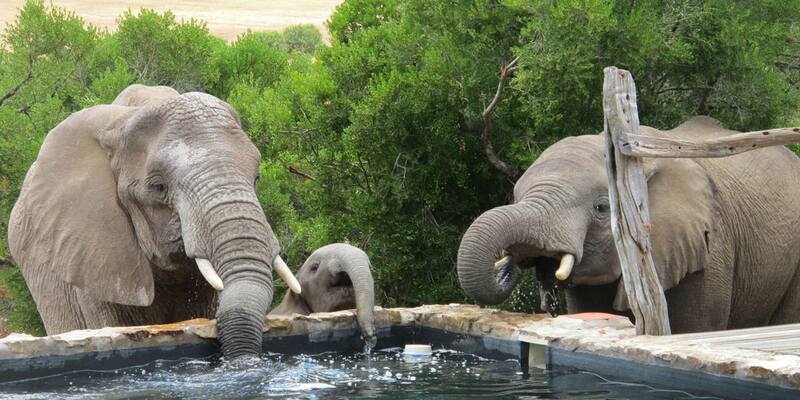 Activities include game drives in an open 4x4 game-viewing vehicle, birding, stargazing, river cruises, guided bush walks, an optional visit to the Amakhala Art & Craft Centre, an optional visit to Shamwari’s Born Free Foundation and of course uninterrupted relaxation in the privacy of the lodge. 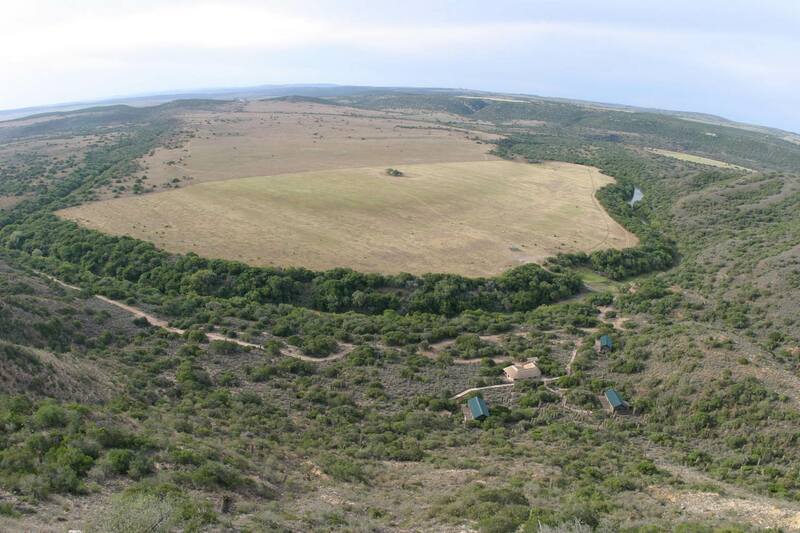 The 7,500 hectare Amakhala Game Reserve in the Eastern Cape province of South Africa preserves a complex and diverse ecosystem, providing habitat for over 60 mammal species and 250 bird species. 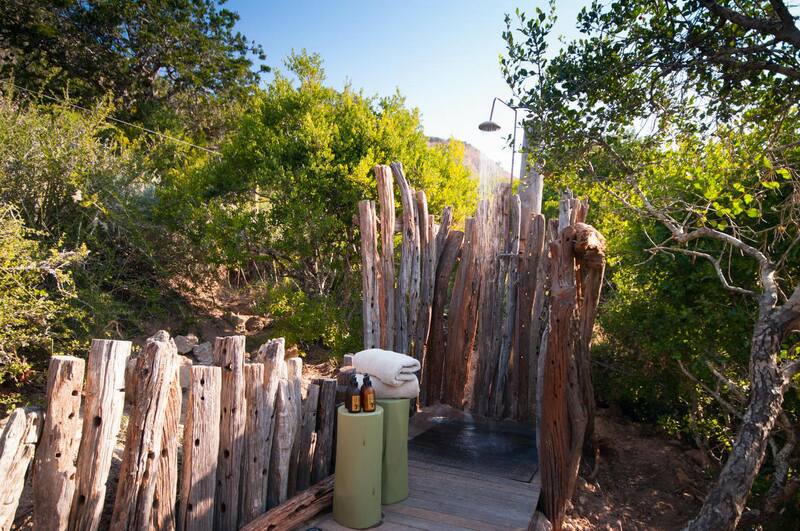 The Bushman’s River winds its way through the reserve and the dramatic and ever changing topography of Amakhala Game Reserve is host to an abundant tapestry of sights and sounds - you never know what you might see around the next turn of the land-rover track. The majestic lion, herds of elephant, buffalo and giraffe, cheetah and endangered white and black rhino make up the big game component. Amakhala Game Reserve is also home to substantial herds of plains game species including zebra, black wildebeest, red hartebeest, oryx and eland to name but a few.